I’ve spent the last week road testing and researching the 2018 Specialized ‘All-new’ Diverge. In this article I will discuss my experiences with this road bike and provide a comparison to its endurance compatriot, the Roubaix. I will tell you a story about my journey on the Diverge and conclude with my opinion on whether this fully-fledged exploration machine is actually “one bike that does it all”. But firstly, let me describe a recent Diverge vs. Roubaix conundrum I found myself in. You may have already read a few of my articles about my New Zealand journey – I am conscious that I’ve been going on like a two-bob watch about how I recently cycled the length of New Zealand, but please hear me out. There’s a lot of relevant context regarding the Diverge. It was June 2017, roughly a month before the start of my 2,336 km journey down the length of New Zealand. Specialized had just released their ‘all-new’ exploration machine and I was heading into some fairly rough terrain, with Specialized as our bike partner for the ride. It seemed like such a fitting coincidence – my extreme journey in harsh conditions and Specialized releasing its “exploration machine” – how could I go with any other bike Specialized had to offer? The Venge and the Tarmac were definitely out of the equation as I’d already been training significant mileage on the Tarmac, ultimately becoming acquainted with the side effects of riding a stiff race bike for long periods of time. Perhaps that’s OK for the pros but as a 36-year-old man with little endurance conditioning, I was feeling the stiffness of the Tarmac all through my upper back and neck. So the only bike left to consider, outside of the Alloy induced Allez, was the Roubaix. I’d never been a huge fan of the Roubaix given the old zert inserts, which I felt inflicted the beauty of what Specialized typically produce off their production line. However, the Roubaix was now looking different with it’s Future Shock system and a more aggressive style geometry. Thus, it was still sitting in the back of my mind calling out for some consideration. When I sat down with my local bike shop and the team at Specialized, analysing the route in more detail, we made the call to park the Diverge, despite the hype it was receiving at that point in time. Instead, we went ahead with the Roubaix Expert Di2. The swaying factor in this decision was my desire to pedal at speed, averaging 180 km per day and riding predominantly on sealed roads. Yes, I hit the gravel at times and also encountered some of the coarsest and grittiest roads I’d ever seen, but all-in-all I was very happy with the choice that was made. A full review of my experiences on the Roubaix can be read here. When my local shop, Hampton Cycles, offered me the opportunity to take the ‘all new’ Diverge Comp out for a spin post New Zealand I was very intrigued to assess its capabilities. While I was ecstatic with the Roubaix, I still had a thought in the back of my head: “was it the right decision to go with the Roubaix over the Diverge”? A major difference between the Roubaix and the Diverge is tyre clearance. The Diverge offers up to 42 mm tyres for greater compliance on dirt and gravel. Looking at the Diverge, the first eye catching difference – outside of no swat box – was that the seat tube had been moulded to allow for great tyre clearance on this bike. On closer inspection, I noticed a lot more head tube on the Diverge, which is ultimately there to give riders more of a relaxed feel for off road adventures. But I pondered whether it was perhaps a little too forgiving for on-road bunch rides and our general desire to look aero when rolling turns within a bunch. 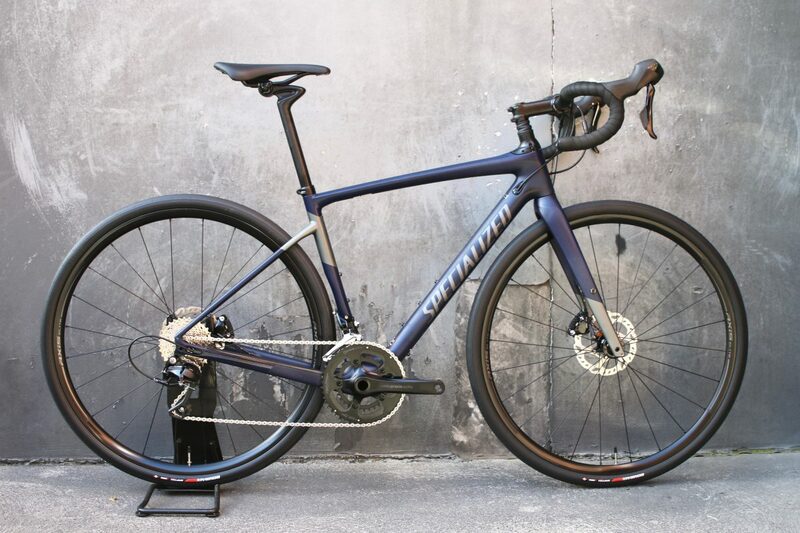 Specialized emphasise features such as a bottom bracket that’s over half a centimetre lower than the previous Diverge (although higher than the Roubaix), a slacked-out head tube angle, short chainstays and a shorter wheelbase. They say these changes not only improve the dirt and off road capabilities, but give the Diverge more alignment to on-road antics. The ‘Future Shock’ on the Diverge has 3 spring options– soft, medium and hard – so I assumed we had a like-for-like capability. Not the case. The Diverge has been engineered with gravel and harsh bumpy dirt tracks in mind. The team at Specialized have created what they call “Progressive Springs”, which are essentially a harder spring than what the Roubaix comes with. Given the harshness of gravel and dirt, a hard spring will absorb the bumps and divots, not giving away too much movement and providing more compliant riding when off road. When on road, however, I felt the ‘give’ with the Roubaix Future Shock spring system to be more effective. 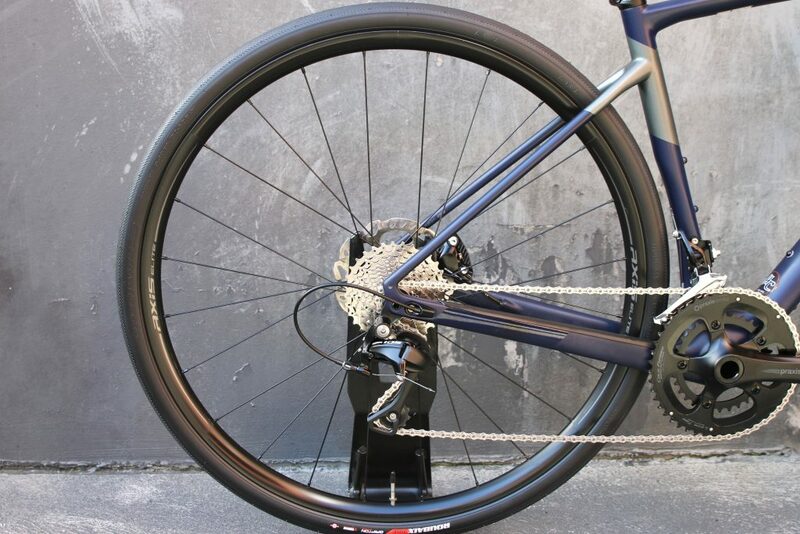 To the naked eye, the Future Shock system on the Diverge looks like that on the Roubaix, however Specialized use a “Progressive Spring” on the Diverge which is designed for bumps and divots off road. 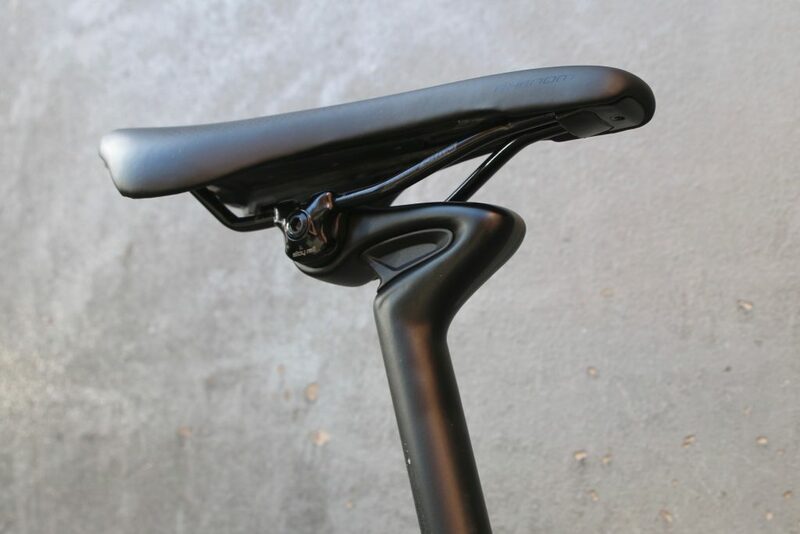 The Cobble Gobbling seat post is the same although the Diverge has no free space within the seat tube, unlike the Roubaix. By allowing some space for the seatpost to move, the Roubaix provides more give on-road when hitting bumps and cobbles. The Diverge seat clamp holds firm around the Cobble Gobbling seat post, to once again, offer more compliance when off road. The Cobble Gobbler on the Diverge is the same as on the Roubaix, although on the Diverge the seat post clamps around the post tightly. The Roubaix allows for movement with some open space. I really wanted to put to the test Specialized’s claim that “the Diverge is one bike that does it all” so I spent a half-day on the Diverge, starting with a fast bunch ride here in Melbourne called the North Road Ride. I then turned off and came back along Beach Road on the cycle path and when I hit an area called Mordialloc I entered a new world of gravel, dirt, and some random car-inflicted mud track I found. My fitness isn’t great right now so I should point out that I’m struggling with the bunch rides even on the fast Tarmac. The good news is that I got around the North Road Ride on the Diverge, without getting dropped. While I made it around this fast bunch ride, I did feel a little out of place at times. I can be a bit of a cycling daydreamer which leads to dropping wheels in a fast bunch. On the occasions I got caught napping I’d really struggle to get back on the wheel. While the tall top tube makes life a little harder to get aero it was probably the 32 mm Specialized Roubaix Gripton Pro tyres that made fast bunch rolling a little more difficult. They certainly looked out of place when I was comparing them to the wheel I was sucking in front of me. Nevertheless, tyres can be swapped out easy and I’m certain that by adding some 25 mm tyres to the Diverge (and some faster wheels) I may have been gasping for air a little less. 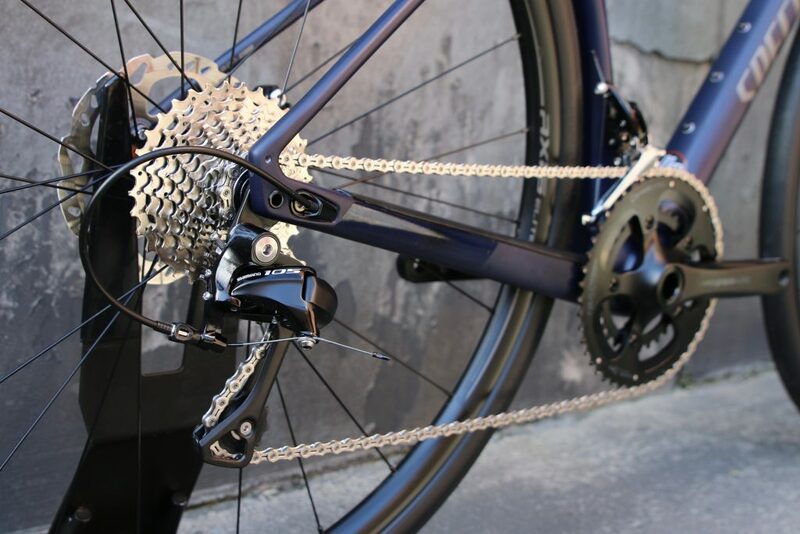 The Diverge Comp offers Shimano 105 gearing and a compact Pravis Works crankset. After I wrapped up pushing the Diverge at 45-50 km per hour on sealed and smooth roads, I decided to head to the dirt and gravel part of my day along Melbourne’s Beach Road bike path. While the bike path is sealed, it doesn’t necessarily offer a smooth ride. There are multiple divots and obstacles that need to be considered, so I thought this could be another testing ground for the Diverge. On the bike path I started to observe and interesting phenomenon take place. The divots and bumps on the bike path are quite unforgiving. On a Tarmac you’re constantly looking to get off the bike path while on the Roubaix you feel right at home, almost oblivious to any inconsistencies within the surface below. However with the Diverge, I felt almost a middle ground between the Tarmac and the Diverge on the bike path. The shock absorbing systems definitely came into play, yet the strength of the Progressive Spring in the ‘Future Shock’, and the tight grasp the frame has around the Cobble Gobbling seat post meant that the Diverge was less forgiving on harsh sealed roads, ultimately making it less comfortable than the Roubaix. I felt it most notably in the rear of the bike. The give area in the Roubaix seat post really enables more leeway for the seatpost to move around when it hits hard bumps on sealed roads. Thus, leading me to a compelling conclusion that I most definitely took the right bike for my New Zealand adventure. 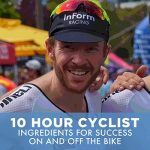 I’ve ridden on plenty of gravel and dirt, with the Tarmac during many training rides and on the Roubaix in New Zealand, where from time to time I would hit gravel for 2-5 km stretches. The Tarmac is simply not enjoyable on the gravel. The low tyre width and the race geometry make you pray for sealed roads again. The Roubaix was accepting on the gravel but at times I felt there was too much ‘give’ in the shock absorbing systems. Granted I had a medium Future Shock spring in the Roubaix during New Zealand and I was running a 25 mm tyre on the front and the 30 mm tyre on rear during many of the initial gravel sections on the North Island. Irrespective, I was constantly looking for the flatter, more sealed sections of gravel roads I encountered on the Roubaix. 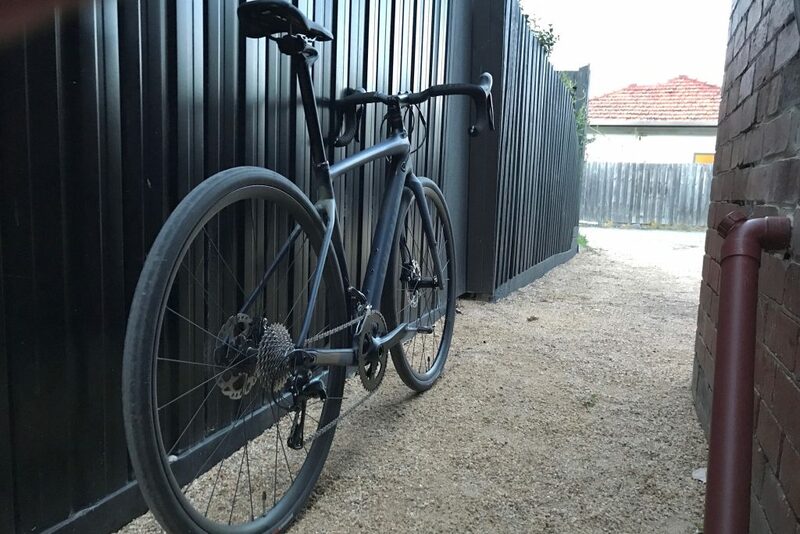 When I took the Diverge onto the gravel and dirt sections between Melbourne’s Mordialloc and Patterson Lakes I was looking for more gravel and dirt. In fact, gravel riding has never been a real interest of mine. I’d never even considered the fun one could have cruising around off road tracks without the care of needing to avoid bumps and divots, nor worrying about your back tyre spinning out. That’s because the Diverge immediately felt right at home as soon as we went off road together. The more compliant shock absorbing systems all of a sudden made a lot more practical sense. The tyre clearance (which has increased on the new Diverge to enable 42 mm clearance, up from 35 mm), enables bigger treads so that the slippery dirt and gravel sections off road become a target, as opposed to an obstacle. In fact, I started having so much fun crossing bridges, skidding into gravel, and flying along the dirt, that I decided to go well on truly off the beaten track. There was a strange looking track running parallel to one of the dirt paths I found myself on. Feeling adventurous, I decided to ride across to it – through some high grass – to have a little play. After I’d spent a couple of hours playing away from sealed roads, I’d somehow found a new interest. Riding off track – away from the congestion of city roads – on a bike that’s designed for dirt and gravel adventures, started a new justification procedure in my head: “How can I convince my wife that I need another bike”? I love cycling for its therapeutic benefit. I get that on road, but it truly is more pronounced off road. Your senses are heightened when heading off track and the natural surroundings of trees, lakes, rivers and bushland are much more pleasant than rush hour traffic zooming past an early morning bunch ride. It’s for those reasons, I thank the Diverge for a new experience. I got to tackle my favourite morning bunch ride and head off into the wilderness to experience a different world of bike riding. The dark colour scheme on the Diverge is elegant yet eye catching. So is it “the one bike that does it all”? It’s a hard one to answer with a black and white scenario, but if you forced me into a corner, I’d have to say yes. My test scenarios suggest it can be taken on the fast bunch rides; it can roll nicely on the bike paths as a commuting tool; and it can most definitely tackle an off road adventure. Where the grey area comes into play is in the componentry. 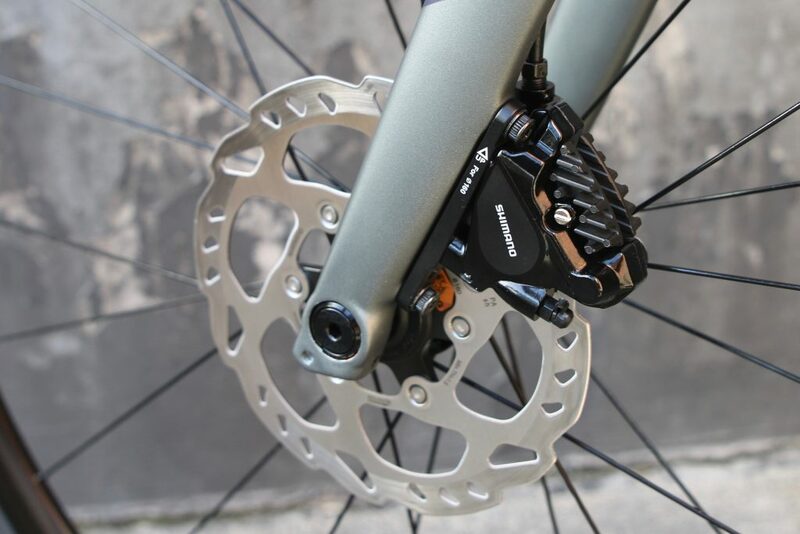 Outside of the ever so reliable Shimano 105 groupset and hydraulic disc brakes, the Diverge Comp comes with thick tyres, a compact gearing set up – with a Praxis crankset and Shimano 105 gearing and Axis Elite wheels. This combination is really designed for off road action. So if you wanted my grey response as opposed to the black and white “yes or no”, I’d say that this bike is best designed for riders that spend more than 50% of their time off road, i.e. on the gravel and dirt paths. If you’re less than 50% inclined to be off road, but still want that off road capacity, I would consider the Roubaix a winner. Looking for a new bike? Check out our range of new and used Specialized bicycles from Australian retailers and private sellers. Great review and comparison. I now know which bike I need! Excellent review, comprehensive, honest and capably supported with evidence. Thanks John, really appreciate the feedback. Hi Mario, thanks for the comment. Yes, you are correct. The Roubaix would win your riding requirements! Enjoy. It’s an excellent bike. This article has just confirmed what I needed to know… Roubaix it shall be! Thanks Cam! I’m a little confused. The Roubaix’s has a bit of space around the seatpost, allowing a little “give”. It seems this bit of give would be advantageous on dirt/gravel roads. 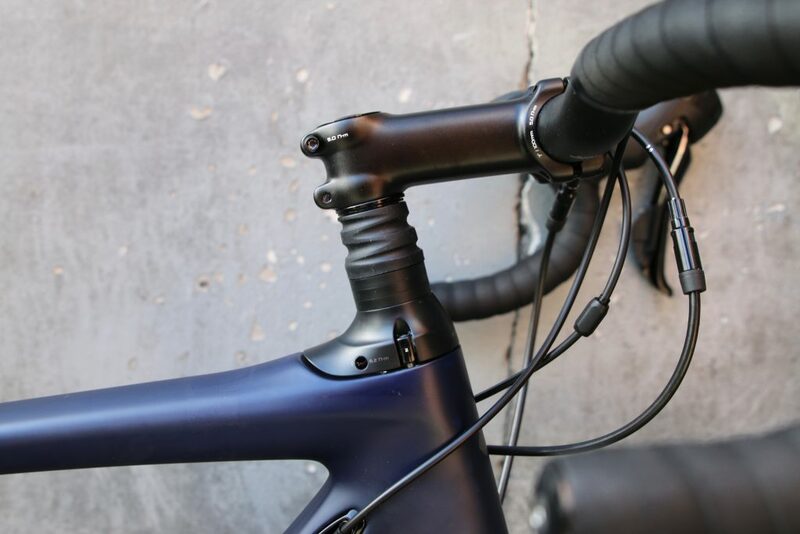 However, the review says the Diverge, with its unmoveable seatpost, is the better choice because the lack of seatpost movement makes the bike more compliant. What does “compliant” mean in this context? Why would one not want more give on bumpy dirt/gravel roads? Hey Ross, Sorry for he late response. This one slipped through the cracks! Both bikes have a the cobble gobbler seat post which provides a ton of shock handling in itself. The ‘give” in the seat post in the Roubaix provides greater comfort on say cobbles or road divots and bumps. If that extra give was on the Diverge it could create too much constant ‘floating’ movement in the seat and the seat would be constantly giving away to all the small divots and bumps you get with a dirt or gravel road. For example, when I was in New Zealand I did end up on some gravel roads on a few occasions. I did notice a little too much movement in the seat when I was hitting harsh gravel sections. I’d prefer less give and more compliance in the seat on gravel, hence the ‘no room’ in-between the seat post and set tube works well on the Diverge. But conversely, the room in the seat tube works awesomely well if you’re hitting the odd road divot or you’re vibrating on cobbles! Great review and the grey answer is brilliant, think my mind is made up Roubaix it is! I’ve been trying to decide for weeks and this review has really helped me make up my mind, thanks man! Can you please help me understand why a paltry 7mm extra stack and 2 mm less reach makes any noticeable difference to ‘getting aero’? Seems inconsequential to me. Am I missing something?… Mark. Greetings from Switzerland. Thank you for this awesome test. I was really in to buy a Diverge and not a Roubaix even if I already own a 2009 Roubaix. But I really ride around 80% on roads (even they are in not best shape) and only hit gravel when a street is re-newed or just not really existing. Flattened but dirt roads in woods also but I do not enjoy mountainbiking. So for me, the winner needs to be the Roubaix (read your Roubaix article too).